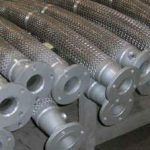 Metal Hose | Twin City Hose, Inc.
TCH metal hose assemblies compensate for misalignment and are great for high pressure, high temperature, random motion and corrosive medias. 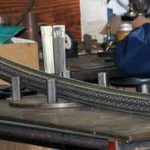 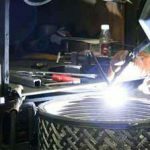 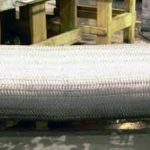 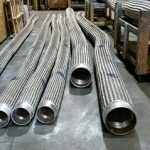 Fabricated from 1” – 4” bronze hose or 1” – 24” 304, 321 or 316 stainless steel hose surrounded with a single or double layer heavy-duty woven wire braid, our metal hoses are custom fabricated to fit your exact needs. 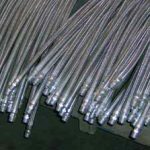 End fittings have a range of materials including copper, carbon steel, and stainless steel. 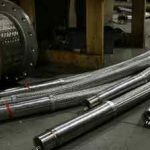 Style options are weld, sweat, flange, groove, male NPT or customer specified. 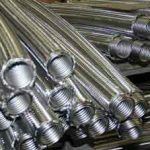 TCH can fabricate by request to the standards of ASME B31.3 and CSA B51 Appendix H.